The Museum offers a selection of cultural programs in the Kōrin’s Residence situated in the Tea Garden. How would you like to try on a kimono and step out into the garden or browse through the museum galleries? Or you can learn the traditional chanoyu tea-making and ikebana flower arranging in a relaxed setting inside the house of a world-renowned painter and the creator of the Red and White Plum Blossoms screen, Ogata Kōrin! This is a house designed by the artist himself for his domicile, and once stood in Shinmachi, Kyoto, transferred and restored on the museum ground. 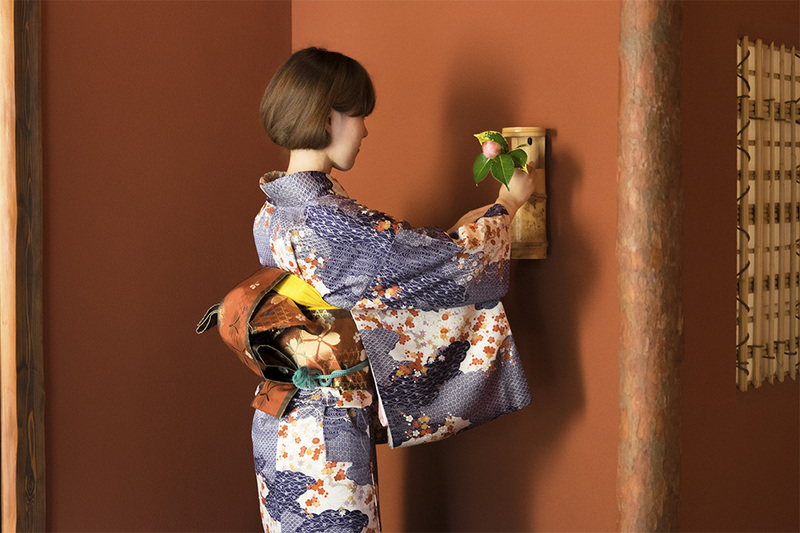 In the history-old setting, select your favorite kimono and dress up with the help of our kimono experts. Not just drinking a served bowl of tea, you can also learn to make tea in an authentic tea room, a perfect setting for the occasion. Learn how a single stem of flower can brighten up the room and change the ambiance, in Kōrin’s library.